ASTANA – A new automated bike system and a fleet of environmentally friendly buses will be changing the nature of transport in Shymkent soon. Shymkent Bus, a new transport company using environment friendly buses, will begin operating in the city soon. The company has signed a memorandum with the Shymkent city administration and intends to improve the public transport system in the city. 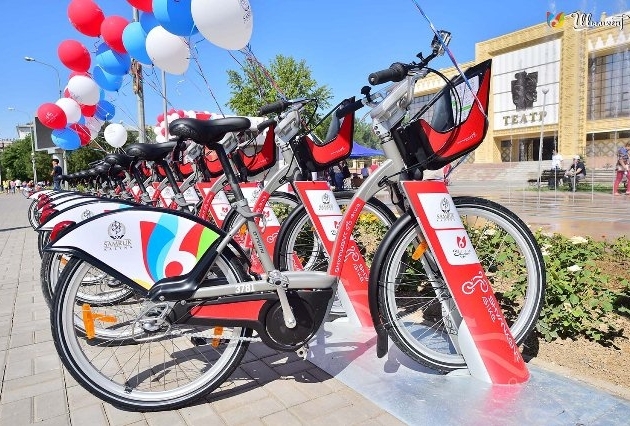 The Shymkent Bike automated system was also recently launched in the city. The project aims to develop cycling as transport, as well as promote tourism, healthy lifestyles and environmental awareness. 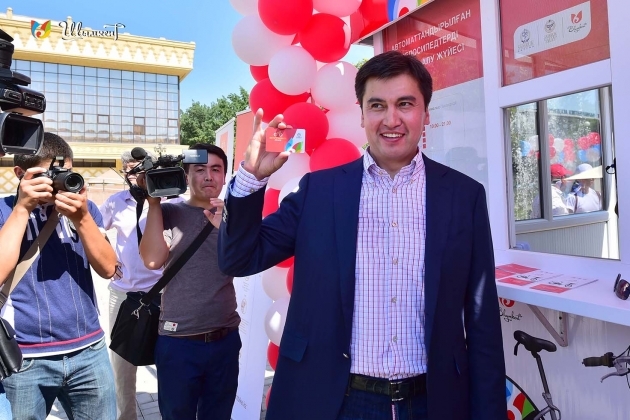 Akim (Mayor) of Shymkent Gabidulla Abdrakhimov participated in the opening ceremony and became the first buyer of a Shymkent Bike card, Kapital.kz reports. “In developed countries, residents of cities successfully use two-wheeled transport,” he said. “This solves traffic problems and reduces the number of accidents on the roads. In addition, cycling is good for your health. Transition to the use of bicycles is a global trend, and Shymkent should not remain behind. Launching the project Shymkent Bike is a step in the development of the city. We express our gratitude to the Samruk Kazyna Sovereign Wealth Fund and the Kazakhstan Cycling Federation for their support of this project,” said Abdrakhimov. The city administration plans to construct 40 bike rental stations and provide 200 vandal-proof bikes. In the future, more bicycle paths and stations in the regional centre will be added, according to the press service of the Shymkent administration. Shymkent Bike stations operate using solar energy. Shymkent Bus plans to use buses adapted for people with disabilities and is going to develop transport infrastructure in the city as well. The Shymkent administration and the company have created a special development programme under the concept of social and economic development of the city to 2020. The city administration will own 51 percent of the public-private partnership, with a private company taking 49 percent of shares. The agreement calls for the construction of new bus stops and gas stations, guarantees bus schedules for new residential areas and provides financial support for socially important routes in remote districts of the city, said Deputy Mayor Nuralkhan Kusherov. Green Bus will purchase another 150 buses by November, and the Tolebi Saud company will provide environmentally clean methane fuel for the buses. According to experts, this public-private cooperation will significantly improve the quality of public transport services and ensure transparency and predictability in pricing.